Deciding to take on a home construction project is a big deal. Often, the general contractor that you choose for your project determines your overall experience and the quality of the work that is done in your home. Your general contractor is in charge of hiring the right people to complete the work, communicating project progress to you along the way, and ensuring that every aspect of the project is completed to the highest standards. California Shine Construction will do just that for you! California Shine Construction’s general contractors specialize in new home construction, room additions, and remodeling projects. No matter what type of work you need a project manager for, we will closely oversee and manage every step of your home project. Our professional team will also work with you and remain available throughout the entire project. This ensures that if any questions or concerns arise, we are here to address them as they come up. One of the main purposes of hiring a general contractor is to hire the proper people to complete the work and take the stress out of home construction projects. We guarantee that we will choose only the most qualified subcontractors who have a proven eye for quality and a consistent track record for customer satisfaction. For a general contractor you can trust, look no further than the home construction professionals at California Shine Construction. Let us take the stress and hassle out of your home construction projects. 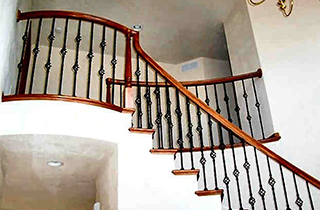 We are passionate about providing high-quality customer service and workmanship for homeowners throughout the Fresno, CA area.